On May 31, Foton successfully won a bid for providing 757 units Tunland pickups to State Grid Corporation of China. For five consecutive years, the company has been providing vehicles to State Grid. 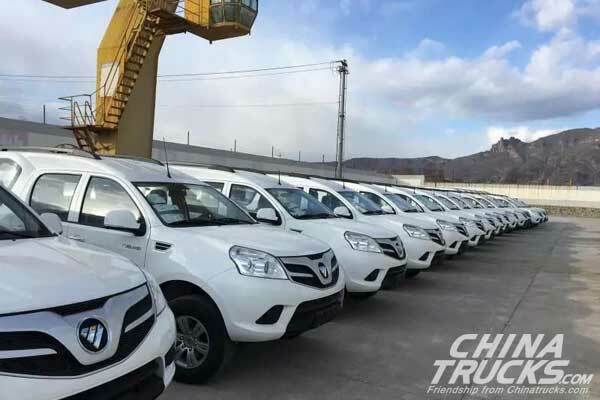 According to Foton, Tunland pickup to be delivered to State Grid boasts particular strengths in the following seven areas, which enabled it to win the heart of State Grid. 1) High adaptability: equipped with the sixth generation pickup chassis, Tunland is readily adaptable to various road conditions. 2) New stereo system: with SD portal, drivers are provided with more entertainment choices. 3) Integrated control platform: Tunland is a more integrated and streamlined control platform. 4) Electronically controlled windows and locks: Tunland’s windows are electronically controlled, further reducing distractions for drivers. In addition, its doors can be locked and opened by a remote control. 5) More visualized digital instrument panel: drivers of Tunland enjoy a more visualized digital instrument panel. Thus, they become better informed of the vehicle’s operation. 6) Super high safety standards: adopting 440 structural steel for vehicles by Baosteel and Bosch’s latest generation ABS+EBD, Tunland achieves much higher safety standards.